Home / News / Can’t argue with science… trade waste solution for high school labs. Can’t argue with science… trade waste solution for high school labs. Mascot Engineering’s Dilution Pits and Settleable Solids Arrestors were recently specified for a new high school currently under construction in Hammond Park, WA. The pre-treatment devices are required to service the water treatment needs of the science labs of the new school. 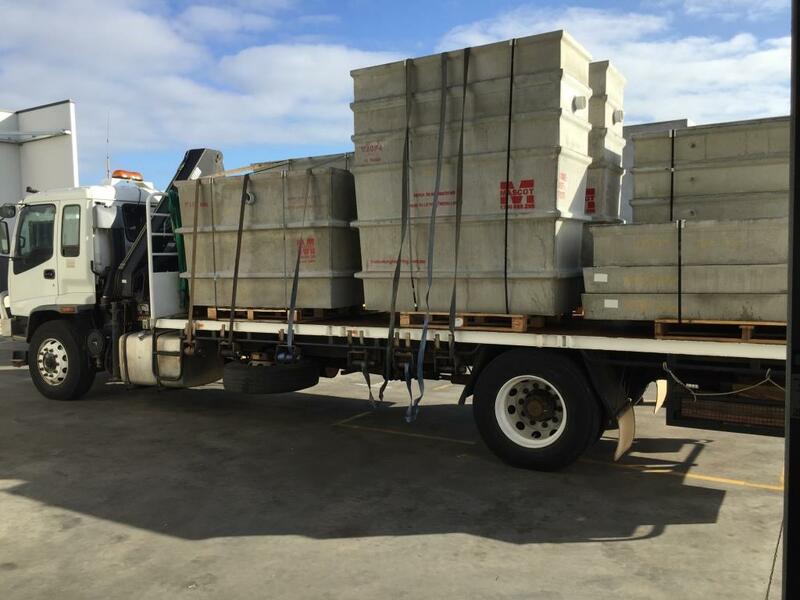 Mascot’s Glass Reinforced Concrete (GRC) Dilution Pits and Settleable Solids Arrestors were the first of their kind to be approved by the Water Corporation in WA. Found in laboratories, manufacturing facilities, science labs in schools as well as many other applications, the Dilution Pits ensure discarded chemicals containing acids and alkalines don’t reach our sewer system… reducing the risk of environmental contamination. Mascot’s GRC trade waste products are approved by most water authorities nationwide to depths of 5 meters, and are engineered for strength and versatility. Unlike devices made from polyethylene, Mascot’s GRC products are heavy duty, and not prone to floating under certain conditions. GRC provides all the benefits of traditional steel reinforced concrete in terms of strength, but is only a fraction of the weight. The light weight nature of Mascot’s GRC tanks allow for easier installation, and more economical delivery to site, saving you time and money.